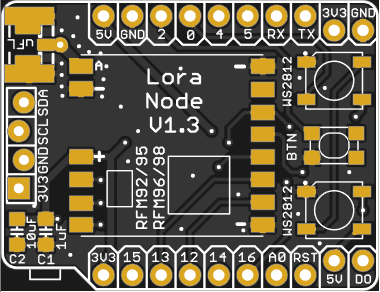 Want to be notified of new releases in hallard/WeMos-Lora? This shield is used to hold HopeRF Lora module Software with WeMos ESP8266 boards it has just few minimal features. 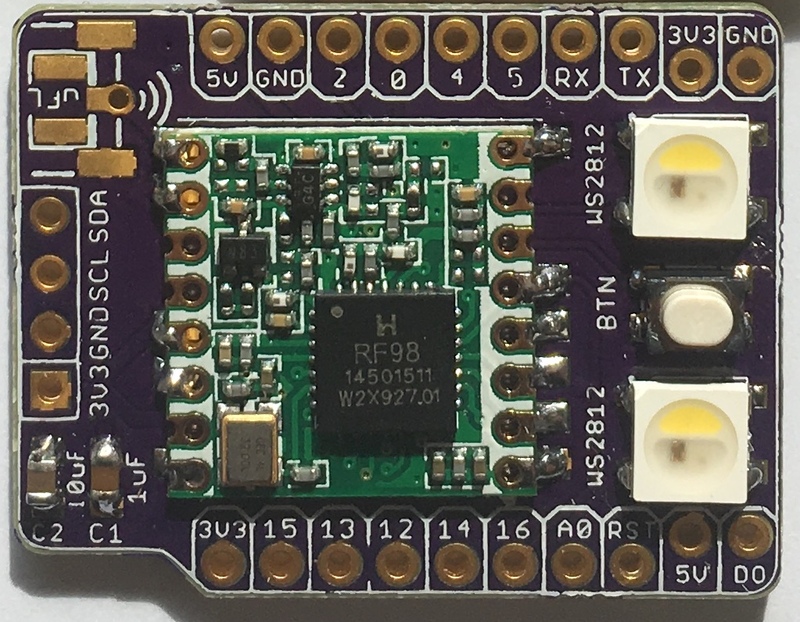 You can find more information on WeMos D1 mini boards (mini, mini pro, mini lite), it's really well documented. 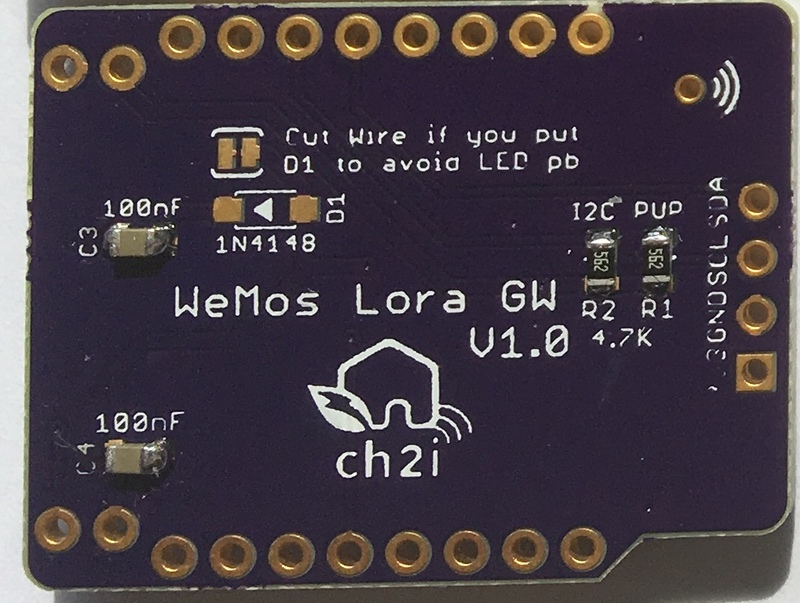 I now use WeMos boards instead of NodeMCU's one because they're just smaller, features remains the same, but I also suspect WeMos regulator far better quality than the one used on NodeMCU that are just fake of originals AMS117 3V3. Boards arrived, I tested them, works fine with forked version of single Channel LoRaWAN Gateway but you can use any program that is compatible with RFM95 Lora module according it to real pinout. 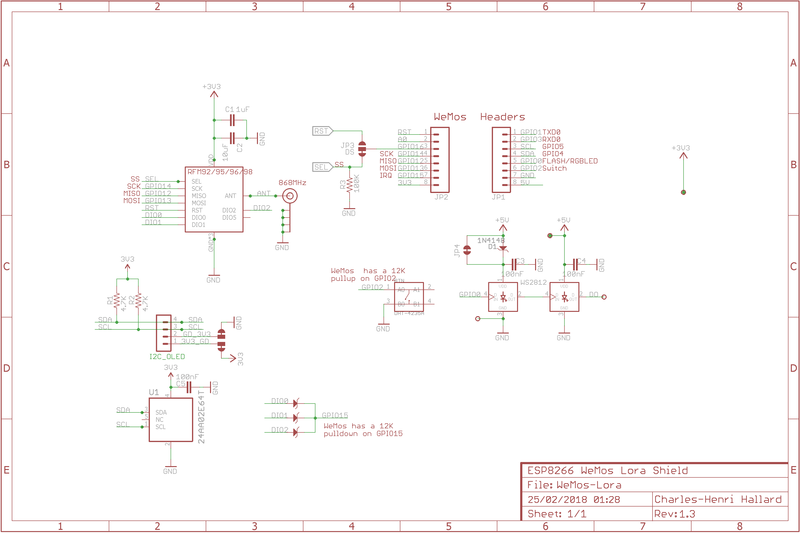 Look at the schematics for more informations. New v1.3 Solder pad on bottom layer to be able to switch 3V3 and GND Pin. It's configured as old version mapping by default (silkscreen is correct). Nothing fancy, all components are 0805 and/or PTH and can be ordered almost anywhere (digikey, mouser, radiospare, ...). use only what you need dependings on what you want to do. You can find lot of components on ebay or aliexpress, but since vendors are often ephemere, I put for reference the BOM on well known providers. 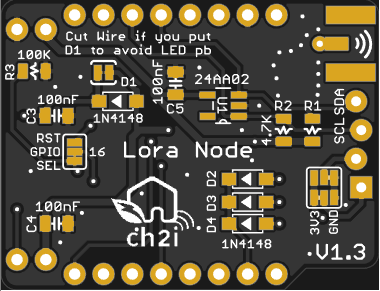 You can order the PCB of this board at PCBs.io if you do so, PCBs.io give me discount that allow me to buy some new created boards. If you want to do commercial stuff with this project, please contact CH2i company so we can organize an simple agreement.